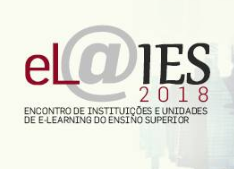 eL@IES 18 | 7th Meeting of Institutions and eLearning Units in Higher Education, December 2018 at Castelo Branco. It is a joint organization LE@D|Universidade Aberta, Instituto Politécnico Castelo Branco and Universidade do Algarve. 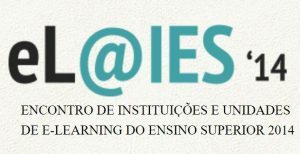 eL@IES 16 – 6th Meeting of Institutions and eLearning Units in Higher Education, on December 16, 2016, at the Faculty of Science and Technology of the University of Coimbra (FCTUC); joint organization of the Distance Learning Project, University of Coimbra, Castelo Branco Polytechnic Institute, LE @ D | Universidade Aberta. 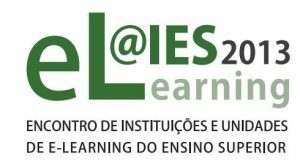 eL @ IES 15 – 5th Meeting of Institutions and eLearning Units in Higher Education, held on December 11, 2015, at the Polytechnic Institute of Leiria; UED joint organization | Instituto Politécnico de Leiria, University of Coimbra and LE @ D | Universidade Aberta. eL @ IES 14 – 4th Meeting of Institutions and eLearning Units in Higher Education. November 26, 2014, held at the Faculty of Medicine of the University of Porto; joint organization of the Educational Technologies Unit | University of Porto, Porto Polytechnic Institute and LE @ D | Open University. eL @ IES 2013 – 3rd Meeting of Institutions and eLearning Units in Higher Education. December 17, 2013, New University of Lisbon. Joint organization of the FCT e-learning laboratory | Univ. Nova de Lisboa, Polytechnic Institute of Santarém and LE @ D, Universidade Aberta. eL @ IES 12- 2nd Meeting of Institutions and eLearning Units in Higher Education, Communications Museum, Lisbon, October 8, 2012. 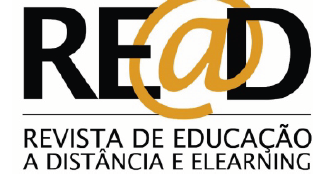 Joint organization of the Distance Learning Unit (UED) of the Polytechnic Institute of Leiria and E-learning Lab of the University of Lisbon, and LE@D, Universidade Aberta. 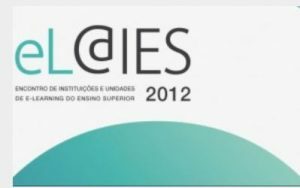 eL @ IES 11 – 1st Meeting of Institutions and eLearning Units in Higher Education, University of Lisbon, 19 December 2011. 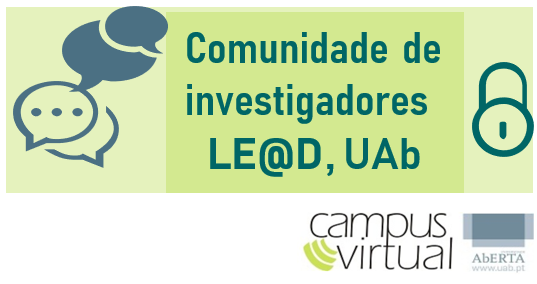 Joint organization of ELearning LAB of the University of Lisbon and LE@D, Universidade Aberta.